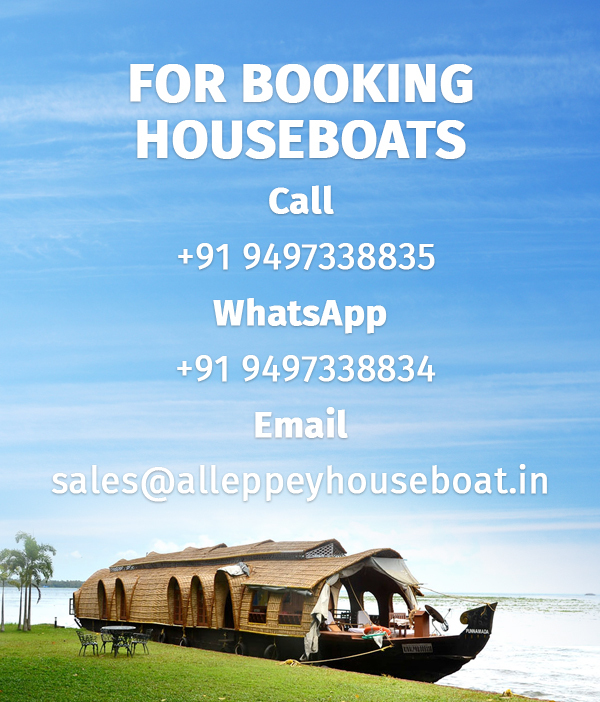 A cruise along the Alleppey backwaters is not about the number of places that you get to add to the list of tourist attractions conquered, but its more about experiencing the unmatched serenity and calm that is rare to come by in our daily lives in the hustle and bustle of the rat race called life. It will teach you how simple and yet joyous lives in the villages are, where people are not in a hurry to surpass anyone, away from the maddening traffic and suffocating pollution, where life is at a pace that is so different from what we are used to. Karumadikkuttan is the endearing name that the locals have given the 11th century Buddha statue found in Karumady, Alleppey. It is A 3 feet tall granite statue whose one side is believed to have been destroyed by an elephant. Being pretty close to Alleppey it can be seen on the Alleppey round cruise and falls on the route of many other longer cruise routes. Situated on the western bank of river Pamba, Champakkulam church or the St. Mary’s Church is the oldest in Alleppey. It is believed to be one of the churches established by St. Thomas. The annual feast, which is the biggest celebration here is held every year on the 3rd Sunday in October. Like KArumadikkuttan statue Champakulam church also falls on the Alleppey round route. Sitting on the banks of Pamba, Nedumudi is a small village in Alleppey. Its picturesque paddy fields and criss-crossing waterways, the bustle of village life and the picture book sceneries make it a definite attraction on your houseboat cruise. The region with the lowest altitude in Kerala, Kuttanad covers parts of Alleppey and Kottayam districts. Known for its vast paddy fields, it is also famous for being one of the very few places in the world where farming is done below sea level. Pathiramanal, a small island on the backwaters of Alappuzha, is a haven for hundreds of rare birds migrating from different parts of the world. Accessible only by waterways, it is a secluded and almost untouched spring of natural beauty. It is an ideal stop on the houseboat cruise. It falls on the Alleppey – Kumarakom route. Spread across 14 acres on the banks of Vembanad Lake, Kumarakom bird sanctuary is known for being home to a wide variety of bird life. The Vembanad lake body attracts waterfowls like pin-tailed duck, garganey teal, spot-billed duck, birds of prey like osprey, marsh harrier, steppe eagle, etc. On your houseboat cruise you can observe these birds and more in their natural habitat.